This signature white sandwich loaf is the “go-to” bread for breakfast toast or for fancy sandwiches. I feel so good to finally have baked a bread which my family happily eats in breakfast. Once you’ve baked a perfect loaf of bread, you won’t go back to buy bread again. 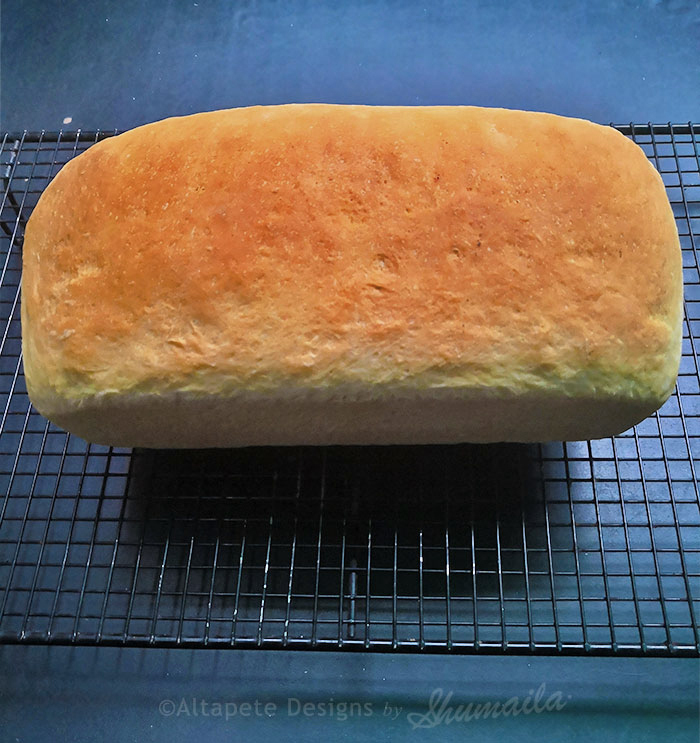 There is something so special about baking perfect bread at home. The aroma of freshly baked bread is matchless. Bread baking has turned into a passion and I really hope to try all the bread recipes I’ve pinned & saved so far. 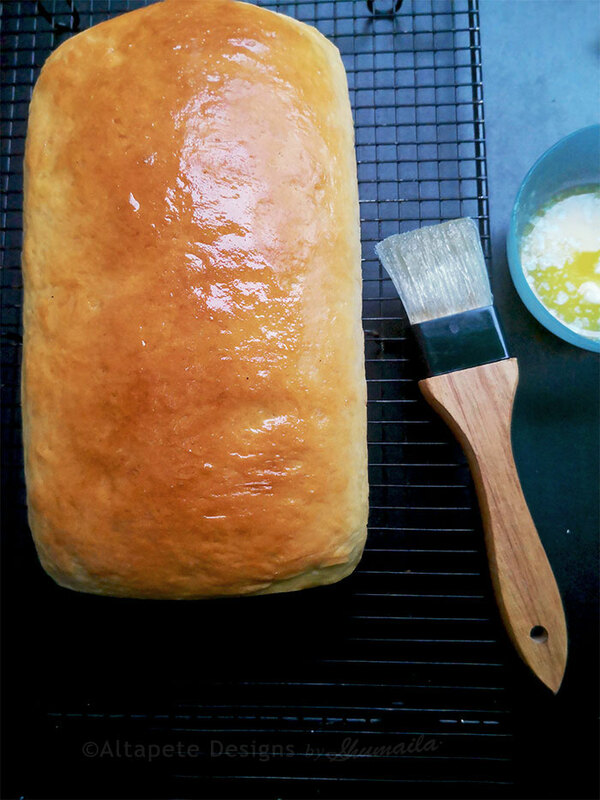 This everyday white bread recipe from King Arthur Flour is simple and can be your first bread. If you have never baked a bread, try this recipe and follow all the steps carefully I’m going to show below. Since I did not have any help available to take the recipe pictures, the quality of the recipe shots is not very good. My three little boys always (ALWAYS!) revolve around me when I’m baking so planning a recipe post with beautiful recipe shots is not possible in near future. Before you start planning to bake your bread, make sure you have the following tools and things available. Having these things with you will save you a lot of frustration and time! Let’s start the recipe instructions. You can find the complete recipe at the end of the post. Weigh all the ingredients and put in a large bowl. You need lukewarm water to activate the yeast. The temperature of the water should be somewhere between 95°F and 115°F. As the water dissolves the sugar and warms the bowl, it cools somewhat and should be just right for dissolving and activating the yeast. So keep that factor in mind when you warm the water. Add the water slowly and keep mixing with hand or stand mixer until you have mixed everything. You need enough water to mix everything well. The water range is given in the recipe below. 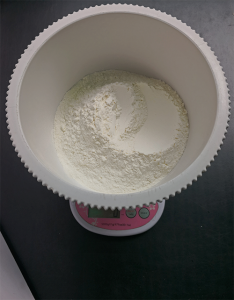 The exact amount of water can never be told for any bread dough because the amount of water absorbed by the flour depends upon many factors such as type of flour, humidity, temperature and other weather conditions. 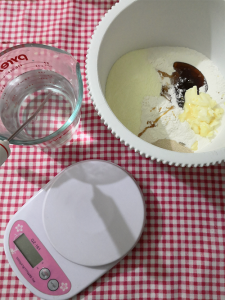 So you will be able to gauge the quantity of water required by the dough with time & practice. Once everything is mixed, you can knead the dough with hands or using the dough hook of your stand mixer. Here I’m kneading the dough with hand because my handheld electric mixer does not support such a heavy dough. This bread dough won’t be particularly soft nor stiff; it should be smooth and feel bouncy and elastic under your hands. 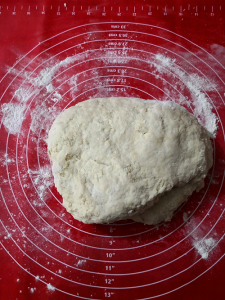 If you are kneading with hand, you need to knead the dough for well over 10 minutes. If you are using a stand mixer, knead for 5 to 7 minutes on high speed. 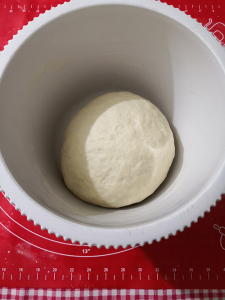 Make a smooth dough ball and grease a large size bowl with butter or non stick cooking spray. 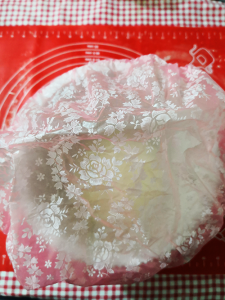 Cover the dough with a plastic wrap or a clear shower cap. I really like the idea of using shower caps to cover the dough because they can be reused without getting messy or doughy! Keep the dough in a warm place for 60 to 90 minutes until it’s quite puffy and almost double in size. Many factors, including the recipe, room temperature, and humidity, will determine how long it takes for your dough to rise. 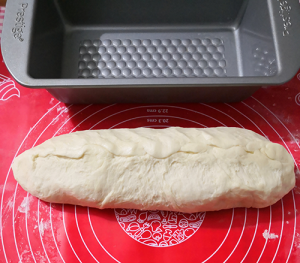 Yeast dough is considered “ripe” when it has risen enough – usually doubling in size. The ripe test determines if the dough is ready to be punched down and shaped. 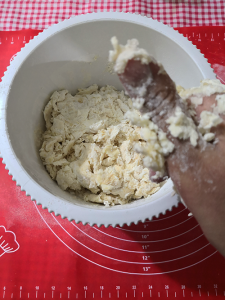 To check the dough for first rise, gently stick two fingers in the risen dough up to the second knuckle and then take them out. If the indentations remain the dough is “ripe” and ready to punch down. If not, cover and let the dough rise longer and repeat test. 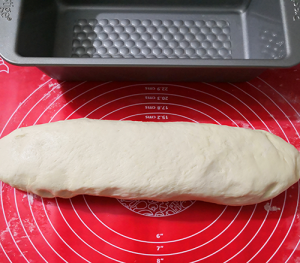 Once the dough has passed the first ripe test, gently deflate the dough, and shape it into a fat 9″ log. 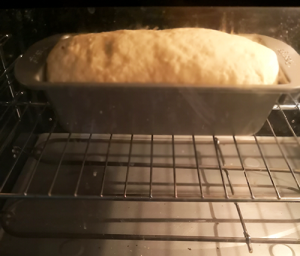 Place it in a lightly greased 9″ x 5″ or 10″ x 5″ loaf pan. Cover the pan, and let the dough rise for 60 to 90 minutes. 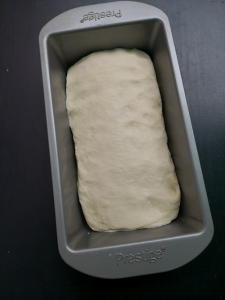 The ripe test to determine if a proofed loaf is ready for the oven is a little different than the method used after the first rise. Simply touch the side of the dough lightly with your fingertip. If the indentation remains, the loaf is ripe and ready for the oven. 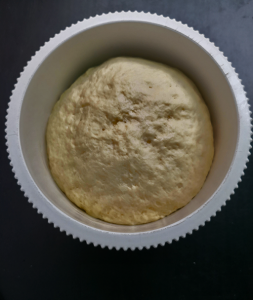 Once the second ripe test is passed and the dough has crowned 1″ to 1 1/2″ over the rim of the pan, it’s ready to put in the oven. You need to preheat your oven at 350°F towards the end of rising time. Every oven is different so you should know how much time your oven will take to get to the required temperature so start your oven accordingly. Time to Pat Your Back! Seeing this golden beauty coming out of your oven is priceless. It’s so so rewarding!!! Brush your bread with melted butter as soon as it comes out of the oven. Keep the melted butter and pastry brush ready! Brushing your warm bread with melted butter will make the crust soft and aromatic. Cool your bread completely on a wire rack before cutting it into slices. I know it’s so difficult to wait at this time but patience is everything! Never ever cut your bread when it’s hot, it will turn gooey. 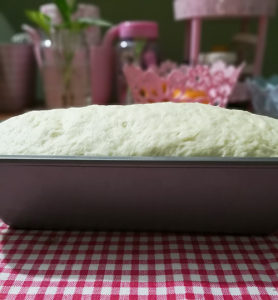 I hope I’ve covered all the little details which will help you to make a decent bread loaf in your first attempt. 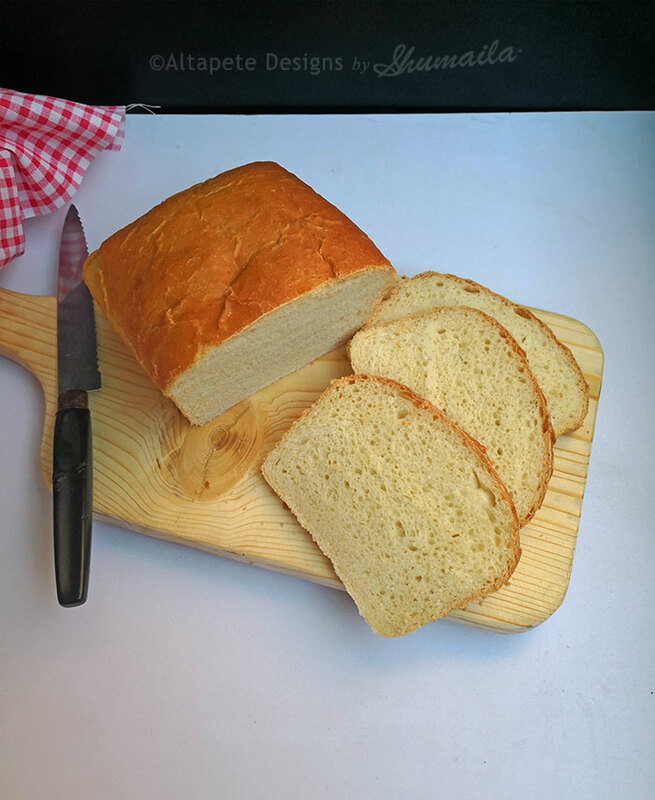 If your bread does not come right in your first attempt, don’t get disappointed because mastering bread making is a skill and every skill requires patience, time, passion and consistency. Remember if you don’t give up no matter what, you will get there. This beautiful golden loaf you are seeing above does not come like this in my first attempt. If you’ve any questions or something is not clear, ask away in comments. 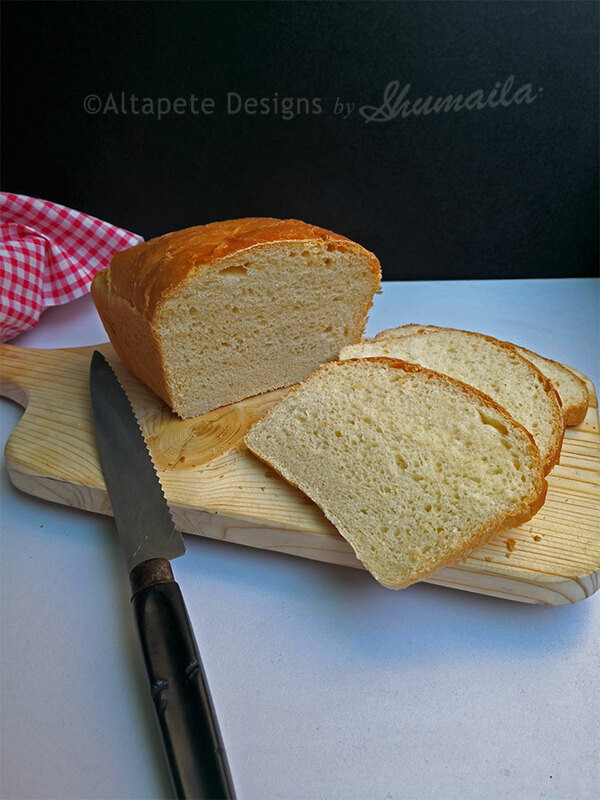 I hope you try this recipe and don’t forget to share your bread baking adventure! This signature white sandwich loaf is the "go-to" bread for breakfast toast or for fancy sandwiches. I feel so good to finally have baked a bread which my family happily eats in breakfast. This recipe is originally from King Arthur Flour. I'm copying the same recipe here. You can follow the above to link to check back original recipe.